The European Wilderness Society had a very busy week with almost every member of our multicultural Pan-European team in the field. We are very focused on spending as much time as possible with experts in the field and outdoors to gather first hand experiences and see how they can be applied to similar situations in other parts of Europe. Max and Anni were in Bolzano to give an interview to the Television and Radio for RAI Südtirol. 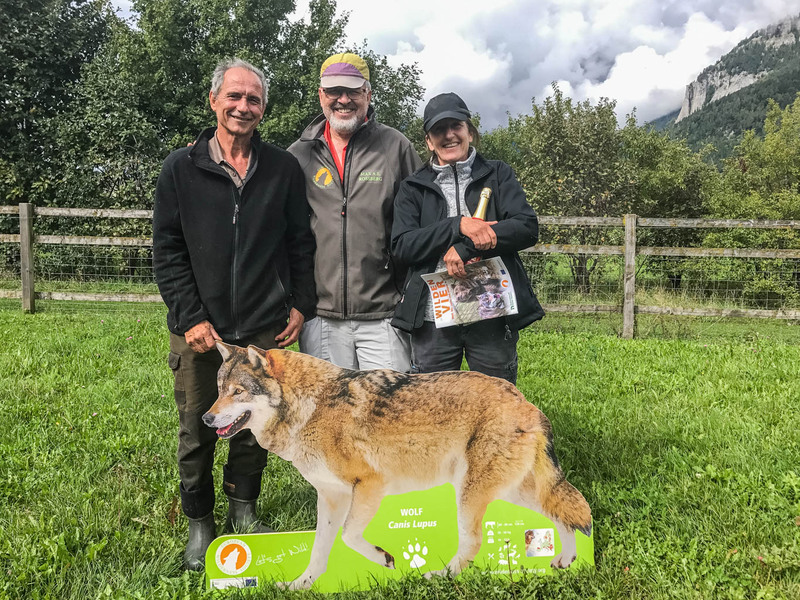 They were in Chur, Switzerland attending a sheep management workshop right in the heart of the Calanda wolf pack. Nick and Franziska were in Munich at a press conference “The Wolf in Bavaria” by the Gregor Louisoder Umweltstiftung. Valik and Iryna were in Brașov for the “Ninth meeting of the working group on sustainable tourism“. Iryna and Valik are now working in our Ukrainian Office in Uzhhorod on the implementation of the Carpathian Sustainable Tourism strategy and its impact on protected areas. Karin is currently working from our Spanish office on a project in Madrid. Otto does legal work concerning the European Wilderness Network in Rostock. Gudrun is at the “Green Screen Festival” in Eckernförde as a commentary on several wolf films. Robin, Bodo and Monica are finalizing several publications in our Headoffice in Tamsweg in Austria.